It was announced on 26 July 2018 that Braham Murray OBE, one of the founding Artistic Directors of the Royal Exchange Theatre, has sadly passed away. THE ROYAL EXCHANGE THEATRE’S FIRST EVER HAPPY 2 BE FESTIVAL SAW EIGHT GREATER MANCHESTER SEN SCHOOLS WELCOMED ONTO OUR STAGE FOR A DAY OF FANTASTIC PERFORMANCES. The festival featured performances from Piper Hill Specialist School, Springside Primary, New Bridge School, Cromwell School, Chatsworth High School, Pictor Academy and Brentwood High School, Ladywood Primary School and Elms Bank School. Happy 2 Be was built around the theme of Acceptance & Understanding and all the schools did a brilliant job at making sure their voices were heard loud and clear!  FOLLOWING THE HUGELY SUCCESSFUL ELDERS EXCHANGE DAY 2017, THE ROYAL EXCHANGE THEATRE WILL ONCE AGAIN HOST A CELEBRATION OF OLDER PEOPLE AS MAKERS AND ARTISTS. Elders Exchange Day 2018 is part of National Older People’s Day and the Age of Creativity Festival (1-14 October 2018) - England’s second nationwide festival celebrating older people. On Sunday 8 July, around 70 people gathered in The Rivals Café at the Royal Exchange Theatre to listen to a group of older budding writers share their poems. The event, My Voice in the City, was part of Manchester’s first Festival of Ageing. The poems had been created by two writing groups specially created for My Voice in the City and led by writer Sarah Butler as part of our Elders programme.